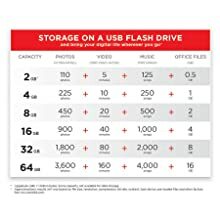 With read speeds of up to 130 MB/s and write speeds up to ten times faster than standard USB 2.0 drives(1), the SanDisk Ultra Fit USB 3.0 Flash Drive lets you quickly move, store, and share your favorite media. 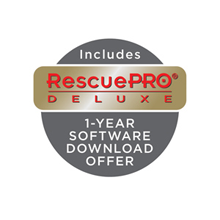 Use it to add up to 64GB (2) of storage to your device or quickly move files between your laptop, tablet, game console, TV, car audio system, or other USB-enabled device. You can even transfer a full-length movie in less than 40 seconds (3). 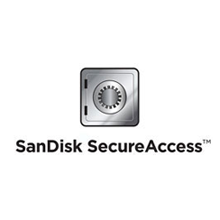 Because the drive is backward compatible, it works in any USB 2.0 port. 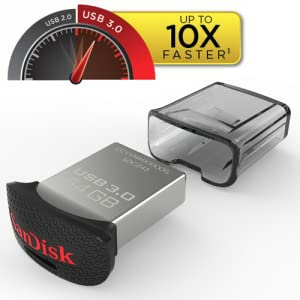 SanDisk Ultra Fit USB 3.0 Flash Drive, 64GB. Includes 64GB (2) of storage space for large files. 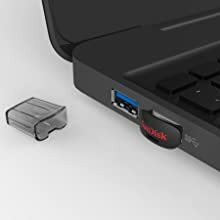 This small, low-profile flash drive fits snugly in your device’s USB port and is designed to stay put, so you don’t have to worry about it falling out or breaking. 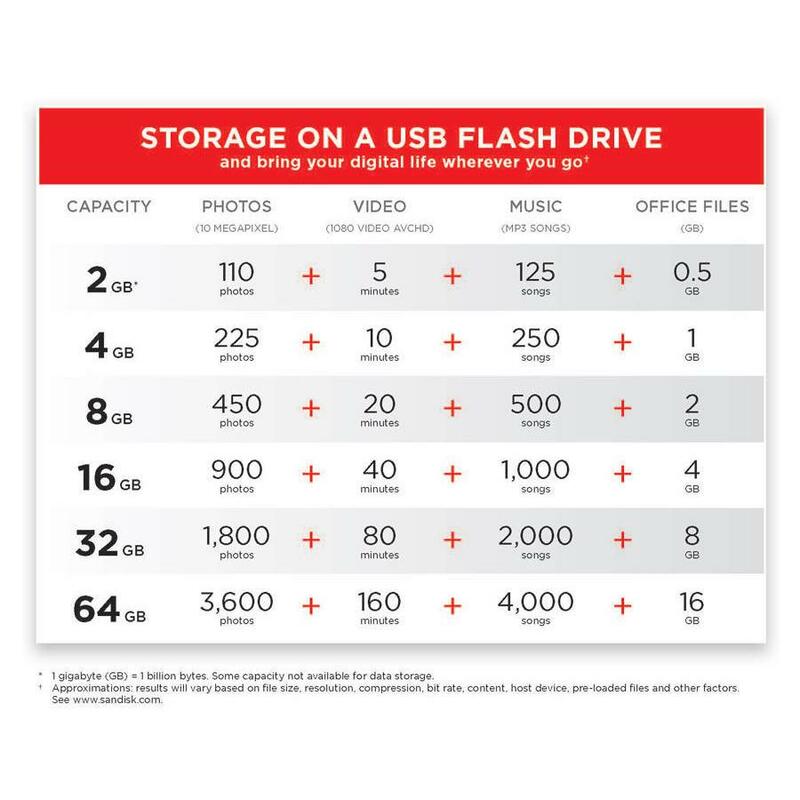 And with 64GB of storage space, you’ll have plenty of room for all your photos, videos, music, and games.